Celebrate the winter holidays with a night out at one of the best Christmas concerts in Vancouver. These special performances have something for everyone to love, from family-friendly Christmas music with the Vancouver Symphony Orchestra to holiday favorites like "The Nutcracker." Check out this list to find the best holiday-themed concerts, theater, and special performances for Christmas 2018 and then book those tickets early. 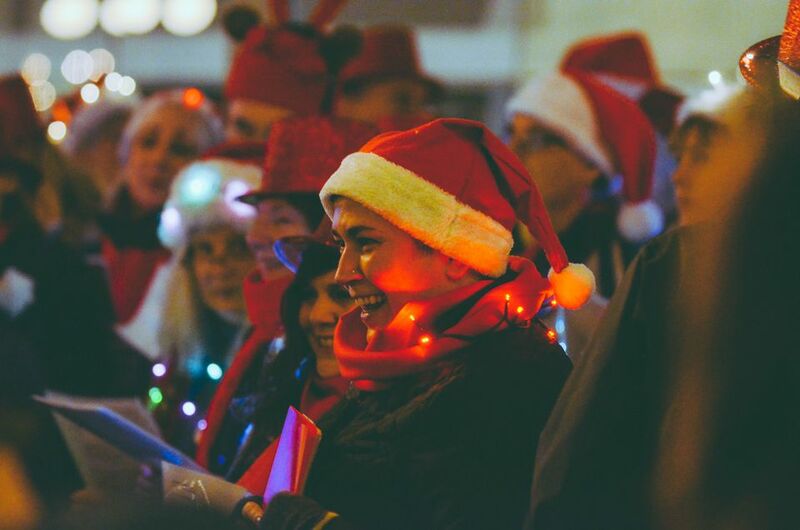 Vancouver's third annual caroling competition brings dozens of choirs to historic Gastown to carol for charity. The funds that are raised go to support May's Place, a hospice in Vancouver's Downtown Eastside neighborhood. The event is free, but please donate. In 2018, the Yule Duel takes place on Dec. 6 at 6 p.m- 9 p.m. The Vancouver Symphony Orchestra's annual holiday concerts, called "A Traditional Christmas," are the must-see Christmas concerts in Vancouver. Held at venues throughout Vancouver and the Lower Mainland, each concert presents family-friendly, all-ages Christmas favorites and Christmas carols that are guaranteed audience-pleasers. Get tickets early because these shows do sell out. In 2018, these concerts are from Dec. 12 through Dec. 22 at several venues. Check the website for locations and times. One of the most popular Christmas concerts in Vancouver is "​Making Spirits Bright" by the Vancouver Men's Chorus. Considered one of the best choral groups in Vancouver, the VMC kicks off the winter holiday season with this rousing concert series at the historic St. Paul's Anglican Church in downtown Vancouver. Catch one of their performances in 2018 on Dec. 8, 9, 12, 13 & 14 – 8 p.m; matinees Dec. 9 & 15 – 3 p.m.
Every year, the Vancouver Chamber Choir presents some of the most gorgeous Christmas concerts in Vancouver. In 2018, the Chamber Choir's seasonal performances begin with "Handel's Messiah" on Dec. 7 at 8 p.m at The Orpheum Theatre. In this 48th season of the Choir, Jon Washburn will conduct his 48th performance of Messiah, Vancouver’s perennial Christmas favorite. It features the Vancouver Chamber Choir, Pacifica Singers, Vancouver Chamber Orchestra and Canadian vocal soloists — soprano Nathalie Paulin, countertenor Daniel Cabena, tenor Isaiah Bell and bass-baritone Stephen Hegedus. December’s other Christmas concert on Dec. 14 at 8 p.m at Pacific Spirit (formerly Dunbar Ryerson) United Church is "A Joyful Christmas: Presenting Nicol Matt from Germany", which will introduce Artistic Director candidate Nicol Matt from Germany. He will be leading a diverse Christmas repertoire including Francis Poulenc’s Hodie Christus natus est, Benjamin Britten’s A Hymn to the Virgin, Ola Gjeilo’s Spotless Rose, Ivo Antognini’s Laudate Dominum and other seasonal songs and carols by Reger, Rachmaninoff, Busto, Ramírez, Sixten, Chilcott, Berring, and Sandström. Another of Vancouver's great singing groups, the Good Noise Vancouver Gospel Choir, is putting on "Good Tidings! A Good Noise Gospel Christmas" on Dec. 14, 15 and 17, 2018, at Shaughnessy Church. Canadian jazz singer Maureen Washington will be the special guest at this rousing holiday concert. While not actually a Christmas concert, "The Nutcracker" is so inextricably tied to Christmas and Christmas music that it has to make this list. One of the top 5 Vancouver Christmas attractions, Tchaikovsky's ballet about dancing mice and the Sugar Plum Fairy seems to defy all naysayers: People of all ages love it, people who don't normally like ballet love it, and people who aren't huge classical music fans love it. It is being performed in 2018 in two separate venues. First, it will be staged by Ballet BC with performances at Queen Elizabeth Theatre from Dec. 7 through Dec. 9. Then Goh Ballet takes over from Dec. 21 through Dec. 27 at the same location. The Arts Club Theatre Company is the largest year-round theater company in Vancouver. Every December, the Arts Club presents Christmas or holiday-themed plays or musicals. For many Vancouverites, a night at the theater is both a fantastic way to celebrate the season and a perfect gift.